May | 2015 | ReadWriteLib Reads! SPOILER: V.M. Staka didn’t actually write this book. However, once out of the packaging, it’s impossible to discern the true authors. Abrams and Dorst executed an amazing novel that must by read in print and encapsulates the true joy of the tactile reading experience. Makes me wonder if this is their pushback against the virtual medium, because it’s an excellent argument for why print books are necessary and even superior, in some cases. First, let’s look at the format since that’s the appeal of this novel. The book is shrink wrapped in a slipcase that promotes the novel S. and the real authors. The actual book stands alone as if it were a published work by V.M. Straka in 1949, complete with a different publisher and marked as a library book with a Dewey Decimal call number on the spine label and return dates stamped inside the back cover. Inside, its pages are strewn with artifacts and riddled with marginalia. For all intents and purposes, this is an ordinary stolen/unreturned library book turned into a personal, beloved keepsake. Alright, on to the proper book review. The story revolves around the main character, S., a man with amnesia who finds himself in constant peril and swept up into someone else’s rebellion that he must fight as well as be on the run for his life. He struggles with who he was, though no one else seems to care or think it’s important. Throughout the novel, there is this mysterious woman whose name changes depending on where she is and who knows her, and serves as an always-just-out-of-reach love interest of S. As he accepts his current situation and takes up the fight against the villainous, militaristic ruler/industrialist Vevoda as his own, trying to tip the balance in favor of tradition and for the working class. Most of the story takes place on a ship on which time has its own peculiar speed and also requires the crew writing for hours on end in the belly of the ship as well as manning the decks and sails. The reader is as clueless and fed up as S., caught up in the downtime of being out at sea, the unsolved mystery of who S. was, and the fearful rush of all of his encounters on land. The writing style and pacing reminds me of Treasure Island and other 19th century adventure novels, very action-focused with direct, factual sentences. While there are some fantastical elements, such as the sped-up ship time and Vevoda’s ultra corrosive unknown weapon, the book itself is realistic, almost journalistic. However, that is just the main text. In addition, there are also the quirky and at times cryptic footnotes that serves as communication between F.X.C. the translator and Straka the writer. It is clear in some of the footnotes that F.X.C. values her personal connection and contact with Straka, though the two have never meet even though she translated several of his works. 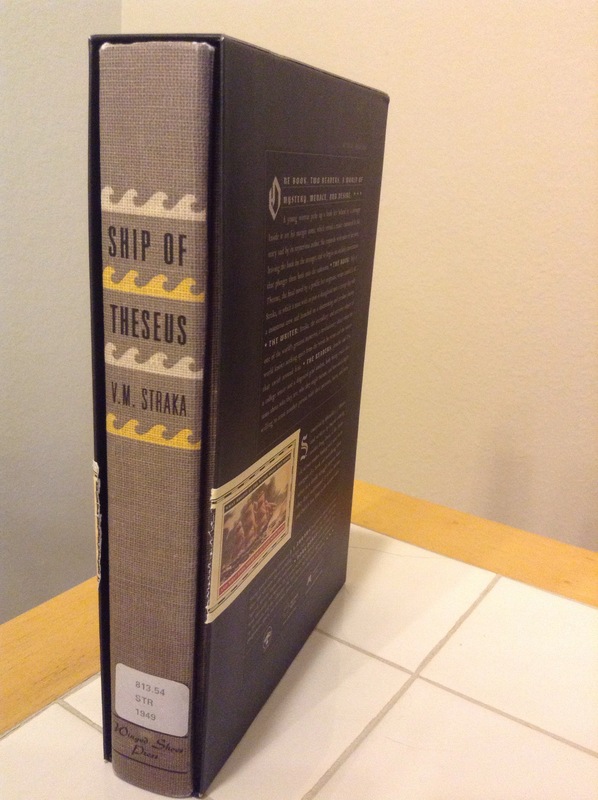 The third layer to the novel is the marginalia between Eric, a disgraced former graduate student, and Jennifer, a college senior, that discusses everything from life and love to in-depth research and analysis of the Ship of Theseus and Straka’s other works. It is also through Eric and Jen that we as the reader to learn about the secret, real life S. society that the writer and his supporters were a part of, committing and avoiding assassinations of their enemies as S. does in the novel. As Jen and Eric dig further into the life and work of Straka, they become threatened by the enemies of the S. society. The interplay of the different levels of the story make for a compelling, though sometimes disjointed read. The margin notes between Eric and Jen are also written in different colors which signify the passing of time and rereads done by them during the course of their relationship and the novel. I couldn’t resist reading all the notes as I went but it would be interesting to focus on the timeline of their notes throughout and reread to recreate their writing of them. 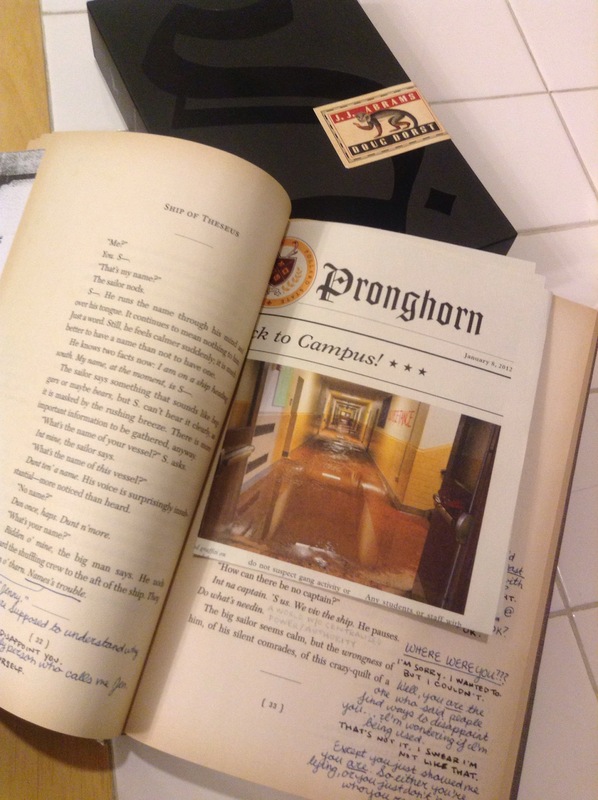 The final component of the novel is the array of artifacts stuck in the pages by both Eric and Jen and includes everything from postcards, multiple page letters, and a hand-drawn map on a napkin. This is the part of the book that cannot be recreated in a digital form. There’s something satisfying with holding and inspecting the keepsakes left behind that creates a more meaningful interaction and reading of the story. Eric even shares his code wheel for Jen or you the reader to use in trying to figure out if and what the footnote code from F.X.C. to Straka is and means. 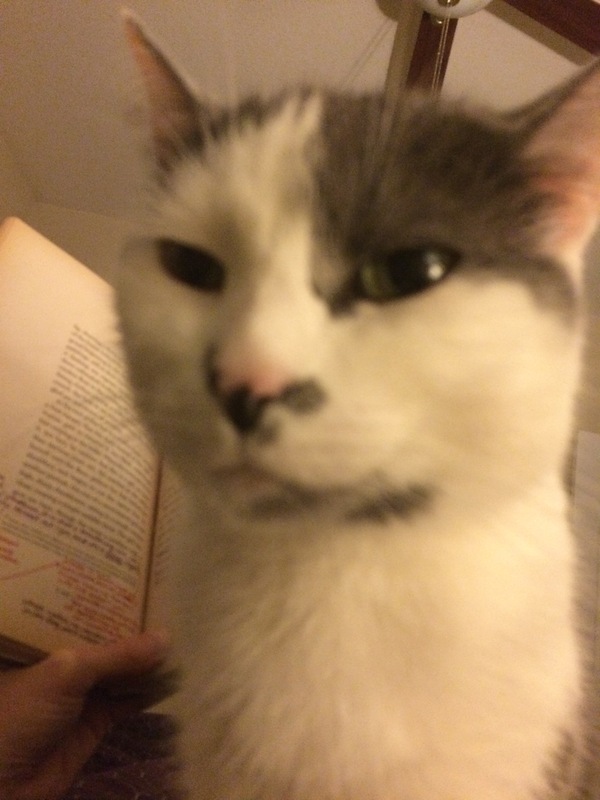 The pages themselves are also worn and yellowed by time and marred with water spots and grim by the various readers before Eric kept the book for himself. They pass the book via dead drops on the academic library bookshelves until that gets too risky and then switch to an electrical box in the planetarium. It’s a covert affair and one that really only exists in the pages of the book, as Eric doesn’t use or trust email. There’s a novelty to the idea and also being a part of their story that makes me wonder if this book is only possible in this day and age of overwhelming digital, immediate consumption. They take days and sometimes weeks to have conversations within the margins of the book. The slowness and permanence of what they write to each other is appealing in such a speedy and disposable world. To get a sense of how the book is packaged and just how many artifacts it contains, check out The Gaurdian’s article and brief video of its unveiling. If you are interested in learning more about the Philosophical puzzle known as the Ship of Theseus, for which the Straka novel is titled and which plagues S. as a dilemma throughout the story, check out this awesome video by a professor of Philosophy on Kahn Academy. Recommended for: Book lovers who rage against eBooks and crave the tangible heft and smell of print. Lovers of marginalia and keepsakes, and anyone longing for the desire of a reading experience that epitomizes why print is and always will be the best reading medium. Also, for readers who love adventure novels with mystery and intrigue. In certain ways it feels like a crime noir but I won’t make that claim because by the end, there is still a lot unknown and unresolved but none-the-less, it has elements of that genre especially when S. starts taking out enemy agents. The true magic of the novel is really in the interplay in the different levels and how it unfolds, which in itself is unique and worth checking out just to admire what Abrams and Dorst created. Although, I’m not sure how this book will work as a library loan–it needs an enclosed box like a movie case and an inventory sheet of all of artifacts plus an index of where they go in case they get moved by the previous reader.